It’s that time of year again! 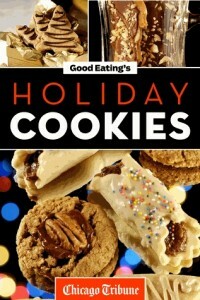 Change up your cookies this year and try some of the different recipes from the free Kindle book, Good Eating’s Holiday Cookies: Delicious Family Recipes for Cookies, Bars, Brownies and More by the Chicago Tribune. Everyone misses Mom’s meatloaf and Grandma’s perfect baked white bread. Christina Jones created a 35 page Kindle book to help recreate these delicious classic recipes, and it’s FREE today!! 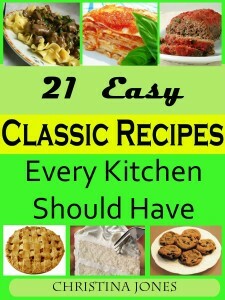 Go over to Amazon and grab your free copy of 21 Easy Classic Recipes Every Kitchen Should Have and be ready for warm, yummy Fall cooking. Some of us are going Gluten-Free for wheat or gluten allergies, sensitivities, or Celiac’s Disease. Some go on a GF diet for help with issues such as SPD, ADHD, migraines, and others. Others go GF just to feel better and eat more healthfully. No matter how or why you are following a GF diet, or even if you just want to try more natural recipes, this FREE Kindle recipe book is for you! 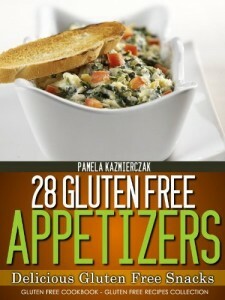 28 Gluten Free Appetizers by Pamela Kazmierczak has yummy recipes and snacks to try right now! 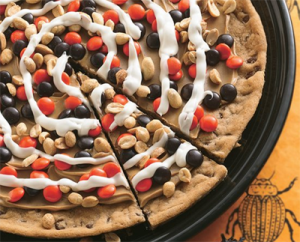 Head on over to Betty Crocker’s website and get tons of Free Halloween recipes and ideas. From main dishes, beverages, desserts and drinks, there’s sure to be a recipe you can use (or will want to try!). You can also become a member of Betty Crocker and get coupons, newsletter and more free recipes. Isn’t this the cutest idea? I loved it so much I had to share. Turn Tic Tacs into funny Halloween treats. These are easy enough to make and are going to make you look very creative! Make these for those special Halloween treat bags, a child’s party or for those people you know that might need a Tic Tac. 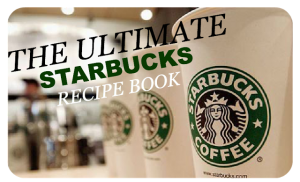 Now’s your chance to get The Ultimate Starbucks Coffee Recipe Book. This 32 page pdf can be printed or saved to your computer. There are so many recipes I want to try like: Fruit with Mocha Fondue, Frozen Frappuccino, Scones, and Old Fashioned Coffee Cake. I recently made some delicious cupcakes. 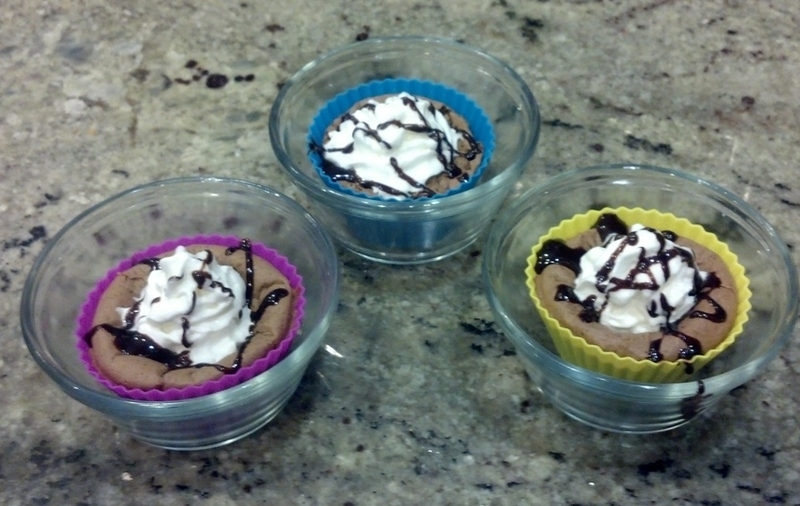 Thanks to Tasty Kitchen’s Free Succulent Molten Java Cupcakes Recipe. They were made while testing a silicone cupcake mold set. Delicious actually does no justice for these cupcakes. I love making my own cupcakes at home because I know exactly what goes in them. I can make them just as fatty or healthy as I choose. It’s also less expensive to make your own at home, and enjoy them anytime you want without waiting for a bakery to open. The best part is that your children can participate in a fun activity and decorate the cupcakes to their heart’s content. Now the original recipe was set for 6 cupcakes but of course with 5 people at home, this will not do. I amped up the recipe for 12 and that may have turned out be enough for 24-46 cupcakes as I had a bowl of mixture left. The takeaway here is to leave it at 6 servings for 12 cupcakes. The recipe below will be for 12 servings. Please note that I’ve also added a few extra ingredients. 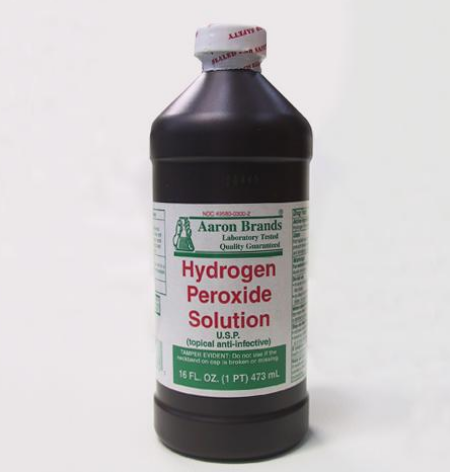 I never fully appreciated 3% hydrogen peroxide until recently. My husband uses if for multiple uses around the house and would buy it by the gallon if he could. He swears by its magical powers and advocates for the liquid’s ability to clean without leaving dangerous residue or toxic fumes. As I bought several bottles of the power cleaner during a recent buy-one-get-one-free sale, I wondered what other uses this liquid might have, and here’s the list I came up with. Tangy BBQ sauces and super salads too! My mom and dad are always looking for new diabetic recipes and this is a good one to pass along to anyone you may know with diabetes. Also doesn’t hurt to have this book on hand in case you ever need to cook for someone with diabetes. This book is your’s free when you join Diabetic Connect, the FREE online support community where people like you share tips and insights to better control diabetes. Don’t miss out on this freebie – it also makes a nice friendly gift! And in case you missed this one – here’s an offer for a FREE Diabetic Meter in the color of your choice. RIght now you can get access to a Free Online Dietary Program for Diabetics along with a Free Meter. My mom has diabetes and the biggest thing she struggles with is keeping her diet interesting with new dish ideas. It really is painful to watch her go through this. Her diet is good for a while and then she hits a wall and slips because eating the same darn foods all the time is not a fun way to live. 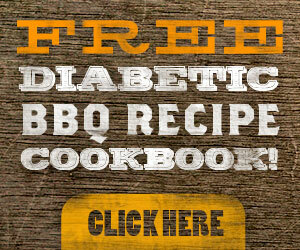 I’ve tried to help her out with ideas and whenever I come across a diabetes cookbook I snag it for her. She just signed up for this free program and so far she’s really liking it. Each week for 6 weeks she gets an email focussed on a new topic about managing her diabetes nutrition. She gets access to articles, videos, recipes, quizzes, healthy eating and testing tips all on her own personalized web page. 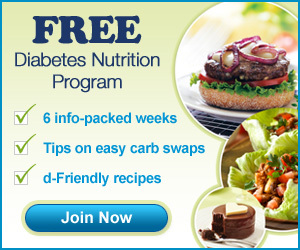 Sign up for this program now and in just 6 weeks you’ll be a master diabetes diner. And rest assured it’s all free!